Bwin-party’s Friday the 13th proved to be a real horror story, as the company’s shares nosedived by almost 20 percent. The major dip was fueled, apparently, by market chatter that its acquisition talks with a mystery buyer had broken down. 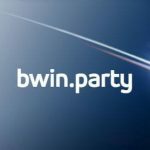 Bwin-party was forced to confirm speculation that it was in negotiations to sell some or all of its assets when rumors began swirling in November that Amaya was preparing a $1.2 billion takeover of the company. Some news sources, meanwhile, reported that software giant Playtech, UK bookmakers Ladbrokes and William Hill, and Apollo Global Management, which partly owns Caesars Entertainment, were also in the mix, although until Friday’s share plummet, all market chatter had gone silent on the supposed deal. 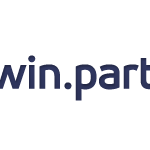 This week, bwin-party was compelled to deny the rumors, first reported in real-time financial information service Deal Reporter, that talks had collapsed. The company would be “obliged to update the market” if this were the case, a spokesman for the company told e-Gaming Review, and there was “no such update to issue,” he said. However, Deal Reporter claimed it had been informed by “two bankers following an industry source with knowledge of the situation” that all deals were off. “Discussions have not moved forward from that initial phase, one of the bankers and the industry source said,” reported the website. Last year was a torrid one for bwin-party. 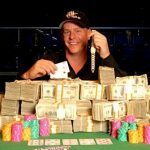 While its online poker operations were leading the way in New Jersey, on a global scale the poker wing was blamed for a loss after tax of €94 million ($106,638,770) across all operations during the first half of the year, with poker declining by 25 percent in Italy, 9 percent in France and 2 percent in Spain. 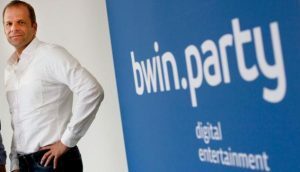 Deal Reporter suggested that the company’s reliance on unregulated markets may have been a factor that deterred potential bidders; bwin-party relies on 40 percent of its revenue from the so-called “gray markets”: countries with murky regulations regarding online gambling that leave everyone on edge, legally speaking. Meanwhile, while the bwin-party situation remains uncertain, William Hill’s bid to acquire 888 Holdings, reported here last week, has officially broken down. William Hill had offered 200 pence (just over $3) a share for 888, which would have valued the company at more than £700 million ($1.75 billion), and that news sent shares in 888 Holdings rocketing by 20 percent. bwin and party goo down . 888 reise up :> .